The African Export-Import Bank (Afreximbank) has launched its new customer due diligence (CDD) platform, called Mansa, which seeks to provide a single source of primary data required for banks to conduct CDD and know your customer (KYC) checks on counterparties in Africa. Four years in the making, it is the first digital technology solution to be launched by Afreximbank. With the utility, the bank says it hopes to “end the subjective evaluation of customers and eliminate the perceived, and often unfair, risk in trading with African counterparties”. “Mansa is about trade,” explained Afreximbank executive vice-president George Elombi during a press conference on the sidelines of the bank’s annual meeting in Abuja last week, where the new platform was launched. More specifically, he clarified, Mansa will make it easier and more cost-effective for African businesses, large and small, to be onboarded by financial institutions. According to Elombi, entities that use the platform are either “contributors”, namely African financial institutions (FIs), corporates and SMEs, who will upload their information to the repository using standardised KYC/AML templates, or “users”, specifically FIs that provide banking facilities and are looking for information on a particular company. Afreximbank has already begun onboarding existing customers that have expressed their interest in the platform. Mansa is currently free to join and will remain so “for the coming year”, Maureen Mba, Afreximbank’s associate director of compliance, told the press conference. Thereafter, and once the bank starts “attracting enough customers on the platform”, it will introduce fees based on different categories of use. GTR caught wind of the launch in an exclusive interview with Afreximbank president Benedict Oramah in May. Oramah told GTR back then that he hoped the platform could bring about the return of the international commercial banks to finance trade on the continent. “We need them,” he said. “The trade finance gap in Africa is estimated at US$120bn, but I personally think it’s as much as US$200bn. Afreximbank’s pipeline alone is about US$50bn and that’s only a small fraction of the market.” At the time, Oramah referenced a pilot project for Mansa, but the details of this were not unveiled at the launch of the platform last week. Several KYC utilities have emerged across the globe over the past few years, but their success has been marred by a low uptake. None have focused solely on African counterparties. While the banks and exporters, whose opinions GTR canvassed at the event in Abuja, largely welcomed the initiative, many cautioned that its success would depend on industry support and the accuracy and validity of the information it provides. “I think Mansa has the potential to help fill the information gap that many consider to be at the heart of the wider trade finance gap,” Duarte Pedreira, head of trade finance at Crown Agents Bank, told GTR. However, he added, “the devil is always in the detail”. For one, platforms only work as much as the involved parties allow them to. “So, if banks and corporates do submit and update their relevant KYC/CDD documents in Mansa, then the platform will be as relevant as it can be,” Pedreira said. But if they don’t, the platform risks becoming “yet another empty channel that never materialised its potential”. Another aspect raised by Pedreira and others that GTR spoke to is that information uploaded to the utility must be both accurate and based on international best practices. “The KYC/CDD requisites must be reflective of the highest standard and recognised by all parties as such, as otherwise financiers in particular will be compelled not to use it if they can only find bits of the information they need there,” he explained. Afreximbank says that information uploaded to Mansa will be independently verified and validated by its own compliance unit, in collaboration with African regulators and other compliance bodies. “For every client that provides some information about their company then some degree of validation is done before that is taken onto the platform. Care has been taken, but obviously it’s not going to be 100% soundproof – there will be some slippages. But these are the steps we have taken,” Elombi told the press conference. The platform is named after Mansa Musa, the ruler of the West African Malian empire in the 1300s, who was responsible for opening up trade across Africa by establishing Timbuktu as a commercial, cultural and religious centre. 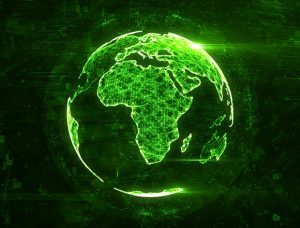 The post New African KYC utility cautioned against becoming “yet another empty channel” appeared first on Global Trade Review (GTR).